The MMX 300 Profesional Gaming Headset by beyerdynamic (yes, I too hate that it’s all lowercase and not spaced but stick with me on this one) is the Mercedes Benz of gaming headsets and not only because they’re German! Can you buy a Chevy Spark for $15k and get to and from work, pick up groceries, and deliver pizzas? Sure, but wouldn’t it be even better to spend $50k and get a Mercedes Coupe to do all those things in? Heall yeah! That is exactly what we have here. The MMX 300 is the most high-end gaming headset I’ve reviewed to date, and as you know I’ve reviewed a lot of headsets in my day. What makes it high-end though? Let’s start with the design of the MMX 300. The incredibly soft, oversized ear-cups are a perfect combination of comfort and functionality. While it doesn’t feel like you have a pillow on your head, it is utterly comfortable. Relatively lightweight, you forget you have an over-ear headset on altogether. I was quickly reminded though when I took the headset off and could hear all the background noise going on in my house. The closed headset provides a great deal of noise isolation, to the point that I cannot hear anything that is happening around me. It’s just me and the game when I’m rolling with the MMX 300‘s. The boom mic is very unintrusive. The mic can be adjusted to sit wherever is most comfortable for you as it can be rotated nearly 360 degrees. Rotate it up and keep it out of the way when not in use. The 3.5mm port sits nicely on the underside of the left ear-cup. Easily kept out of the way. There was a lot of thought and consideration that went into the design of this headset. When I tell you that the MMX 300 is a studio quality headphone marketed as a gaming headset, this is not to be taken lightly. If this headset didn’t come equipped with a microphone, you would think these were made specifically for a music producer. The sound is warm and enjoyable. If you are gaming, you will hear your enemy approaching from around the corner as if you were in the real world. If you are rocking out to Morrissey you will hear every little horn and piano track in the background. The bass comes through clearly and natural while the rich tones of games come out smooth and undistorted. It really is incredible. By far the most impressive sounding headset I’ve had the honor of reviewing. The MMX 300‘s microphone allowed for clean recording, without picking up any of the little sounds happening around me. My party was able to enjoy my commentary as it was crisp and clear, without the need for any modifications. I could do away with my $150 standalone microphone if I wanted to because of this headset. A nice addition to the MMX 300 is its included well-to-do carrying case to keep everything together in my bag. Beyerdynamic also included two sets of audio cables, a shorter one for console gaming, and a longer one intended for PC gaming. Both cables have an in-line remote built into it, allowing you to quickly adjust the volume or mute the mic as necessary. The MMX 300 also included a 1/4 inch adapter if you want to jam out to you old Billy Joel albums on your turntable. Yes, I did jam out to my old Billy Joel albums, so sue me (please don’t actually sue me). Overall – This is truly the Mercedes of the gaming headset world. You are getting much more than any traditional headset offers, but you are paying for it. 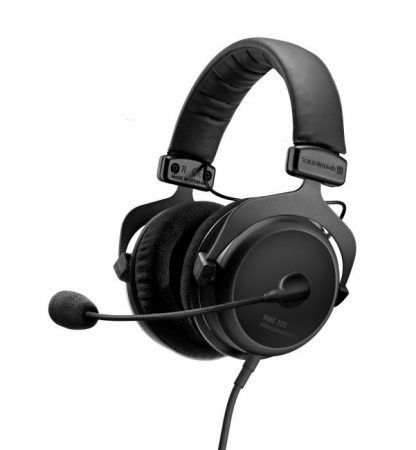 The MMX 300 Professional Gaming Headset has a retail price of $349, andyou can order right now directly from beyerdynamic by clicking here! Is that expensive for a traditional gaming headset? Absolutely! 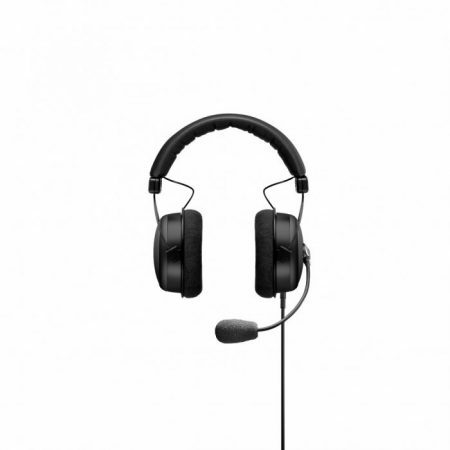 Keep in mind that the beyerdynamic MMX 300 headset IS NOT a traditional gaming headset. You are getting a studio quality, noise canceling headset, designed for nothing more than to make everything sound beautiful. 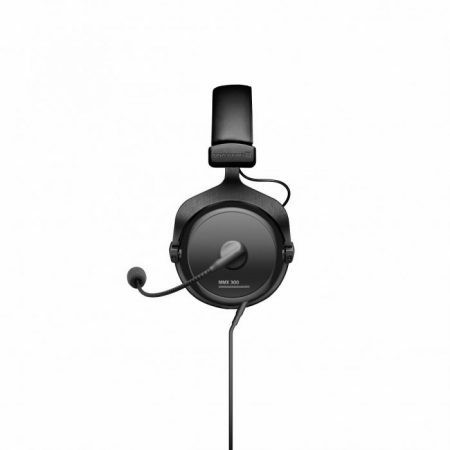 You are also getting one of the cleanest recording microphones I have personally used on a gaming headset. It contends with a lot of stand-alone mics and this is not an exaggeration. If you are a high-end gamer, an audiophile, or someone trying to create and record great audio you need to look no further than the MMX 300.